Germany has declared the exit from coal by 2038. What does this mean for German manufacturers and future energy supplies? The outlook is ambiguous, which calls for creative strategic planning – now! Germany has made another major step in the energy sector. In 2011, after Fukushima, Germany declared the exit from nuclear energy. This resulted in higher energy prices, compensations to energy producers and investments into renewable energy. However, the problems related to this decision are still unresolved. Energy prices remain high especially for energy-intensive segments (although the government has made some exception for the “Energieumlage”), and the infrastructure to connect the wind energy-rich North to the South is not progressing as required. 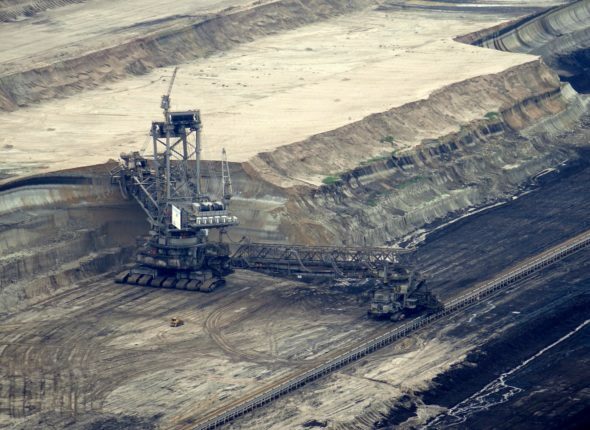 Now, Germany has declared exit from coal by 2038. At this point, it needs to be highlighted that Germany commits and sticks consequently to the climate goals and the significant reduction of CO2 emissions. However, as often when it comes to climate change, the threats for the industry and jobs are debated heatedly. Not surprisingly, the first reactions from the industry were the prediction of job cuts and vehement alls for compensation of business losses. The German government in turn, argues that the compromise will have no impact on energy prices for consumers and that the shift to renewable energy “will not be felt”. The debate has only started but is expected to increase and become very emotional, as the structural change will definitely impact a wide array of industries, jobs and consumers. However, what I want to highlight is a more strategic layer. First, it will become more and more difficult for investors and manufacturers in Germany to take a strategic decision in favor of manufacturing in Germany. Investments, especially in energy-intensive industrial manufacturing, need to be revisited due to increasing energy prices or the risk that political decisions might overthrow a long-term oriented business case. Secondly, Germany is in a political dilemma related to the options for coal, especially in regards to natural gas. Closing the shortfall with natural gas – but at what price? Natural gas seems a reasonable substitution for coal, as it could balance the volatility of renewable energy and secure energy supplies with much less CO2 emissions. However, to this end additional natural gas would have to be imported, either through pipeline capacity increase for supplies from Russia or the investment in LNG terminals to import gas from US and the Middle East. It is evident that the decision is not about the costs for constructing pipelines or LNG terminals. It is rather a question of geopolitical tensions and interests and to what extent Germany is able to balance own interests and those of their partners. For the time being there are no immediate steps announced to reduce the coal energy production significantly. The government has announced that the energy price will be subsidized by 2bn € each year to keep the energy prices stable. It will also take time until the coal exit has been understood and fully reflected by the industry and household consumers. Apart from the industrial debate manufacturers need to revisit their strategic planning and start to deploy scenarios which reflect increasing energy prices but also the opportunities of possible suppliers for natural gas. Ultimately, revising the overall setup and considering make-or-buy options for specific steps in the value chain might again become necessary.